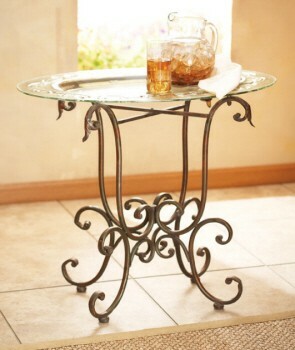 Oval accent table with scrolled legs and cast glass top. Finished in antique gold. Made of iron and glass. Dimensions- 30 in. T x 20 in. W x 26 in. H. Weighs 27 lbs. Assembly required.